A & A limousine service Maple Valley is the premier choice in luxury transportation, providing clean bus rentals and stylish entertainment for all occasions. 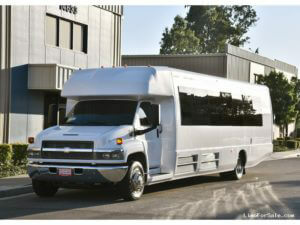 Our selection of luxury party buses, limousine and sedan frames have become the talk of the city. A & A Limousine Service works in close collaboration with event organizers, large companies, weddings and any other person who needs transportation services in progress. We specialize in providing overnight transportation to the city, sport, corporate retreats, weddings and more. Regardless of your transportation needs, our full license and highly experienced drivers will make sure to take care! Hummer Stretch Limo and More! Looking for a night out with friends? Not only is it safer to hire a driver – it is more fun! Traveling in a party bus decorated only at night and experience that much better for you and your friends. A & A limousine service provides transportation for all kinds of special events. We have a large fleet of new vehicles that offer the luxury and convenience that you need to make it a pleasant walk. We offer a variety of packages and are willing to be flexible and work with our customers, so consider us if you need transportation for any special event. A & A limousine has been in business for many years, offering charter buses of high quality rental services for the Maple Valley area over. We focused mainly on customer service, with security in the immediate vicinity. Nothing of all this can be done without our favorable prices you will find every time you ride with us. Many of our guests have used our bus rental to places like the Seattle Space Needle and the Seattle Pike Place Market, where you can see the first Starbucks Coffee House, Quest Safeco Field, Ballard Locks, other! Our drivers are able to pick it up, so you get the Seattle International Airport (SeaTac) in our of our high-end coaches, and will take you to many different Seattle restaurants or hotels. Whether you want to travel to the center of the seafront or the city – we can take you there!